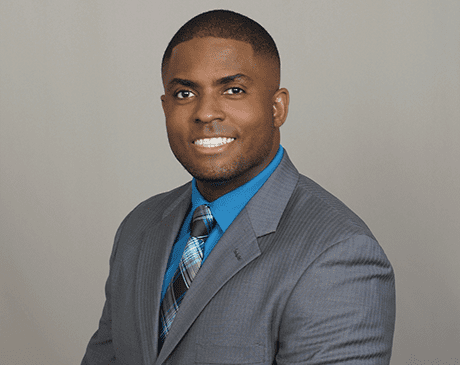 Gerald Morris, MD, MPH, of AMG Medical is a native of the beautiful island of Jamaica and grew up on the island of St. Lucia. As the eldest of three kids, growing up with his two sisters was always a blast — when they’re together they still act like they’re middle-schoolers. His mom and dad are learned individuals. His mom has a PhD in urban planning and development, while his dad is an accountant. Dr. Morris is certified by the American Board of Internal Medicine. He completed his undergraduate studies at St George’s University in Grenada, West Indies, then went on to receive his medical degree and master’s in public health at the same university, graduating in 2007. He completed his internal medicine residency at the Seton Hall University Program at St Michael’s Medical Center in Newark, New Jersey. Dr. Morris moved to Tucson, Arizona, seven years ago and has been practicing outpatient internal medicine. He was also a clinical tutor to the internal medicine resident physicians with the University Physicians Hospital internal medicine training program – Banner–University Medical Center South Campus in Tucson. Dr. Morris’ clinical focus includes primary prevention and management of complex chronic medical conditions for adults. When he’s not in the office, Dr. Morris’ interests include martial arts. He’s an avid sports enthusiast and enjoys spending time with his family whenever possible. He has two sons and has been married to Dr. Amanda Bacchus-Morris for more than 10 years.